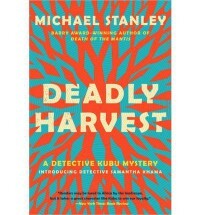 Deadly Harvest is the fourth in the series that features 'Kubu'. I've not read the earlier books but after reading this fabulous one I plan on doing so very soon. There was so much about it that I enjoyed. The very first thing was the little sketch on the back of book of the hippo, the mammal which gives Kubu his nickname. And then there is his love of cookies, like him I don't need much of an excuse to have an extra one! And I loved that each part of the novel takes its name from a quote from Macbeth which given the main subject matter was very fitting. Witch Doctors and the muti is the main theme and how it is regarded by the people who feature in the novel. 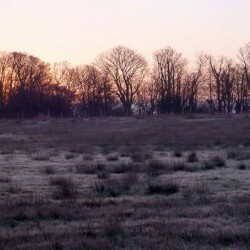 Even the ones who insist that they don't believe still understandably fear it. Certain parts of it had me feel more than a little spooked, especially when there are unexplained noises around certain people. It's not all about superstition. Politics and the impact of AIDS are also a big part of the storyline. I never knew that deaths caused by AIDS was so high in Botswana and the novel demonstrates very well how so many families are affected. It didn't matter that I hadn't read the previous books, I never noticed any spoilers or even mentions of previous cases or Kubu's personal life. I'm looking forward to reading more about him and Botswana soon.